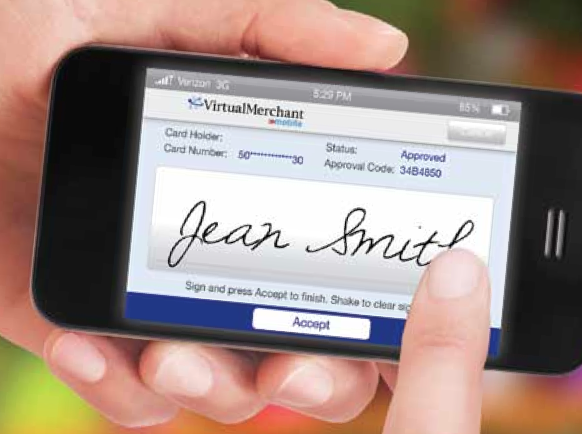 Accept credit card payments anywhere, anytime, and securely with Virtual Merchant! Set-up shop and securely process credit card transactions from virtually any location where mobile service is available, including vehicles, trade shows, swap meets, and outdoor events. Mobile payments offers great convenience to your customers as they can have the option to pick which payments methods they will use in order to process in the most efficient way possible. Be able to electronically process credit and debit transactions and accept electronic checks in seconds. Virtual Merchant is a mobile payment application that allows businesses to process transactions through our secure payment gateway. 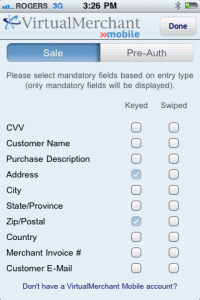 With Virtual Merchant, you can process credits with your iPhone, Android, or Blackberry wherever you go. Simplicity – Utilize your existing mobile device and communications providers to enable mobile commerce to easily and quickly accept card payments anytime, anywhere. Connectivity – Works with array of mobile device types, regardless of wireless carrier, to provide the freedom of choice. This included iPhone, Android devices, and Blackberries*. Visibility – More than just a mobile solution, VirtualMerchant Mobile also provides reporting and virtual terminal abilities through our secure hosted payment gateway, including records and detailed reporting for up to 12 months of transaction activity. Security – In addition to encrypting card data at the time of swipe through our secure Magtek iDynamo card encryption sleeve, all payment information is immediately sent to and stored on our secure hosted environment ensuring that cardholder data is stored behind our firewall, protecting you and your customers – no card or payment information is stored in your mobile device. 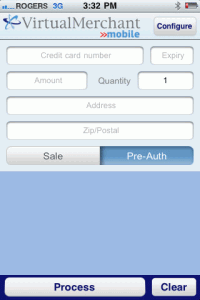 This intuitive easy to use application turns your smartphone into a secure, affordable point-of-sale credit card terminal. Quick and easy setup involves downloading our free app. 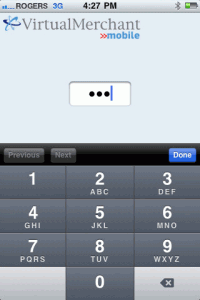 Once your smartphone is setup, you can accept credit cards by swiping them or entering credit card numbers manually. *Device compatibility varies with manufacturer and model of smartphone and may involve specific devices and models. Compatibility can be verified through processing company. Additional hardware may need to be purchased and compatibility must be checked. Currently supported devices include iPhone 3G/3GS/4/4S, iPad 1/2, iPod Touch, Android OS 2.2+, Blackberry Storm/Curve/Tour/Bold. Compatible devices may change without notice.